This year is one of the earliest harvests on record for wine grapes in Santa Barbara county, and we’ve been busy bringing fruit in, hand-sorting, foot-stomping and starting fermentation. We’re fermenting some Pinot Noir in concrete, experimenting with partial new French oak for Syrah, and various other fun tricks up our – and Sashi’s – sleeves. Take a peek below. 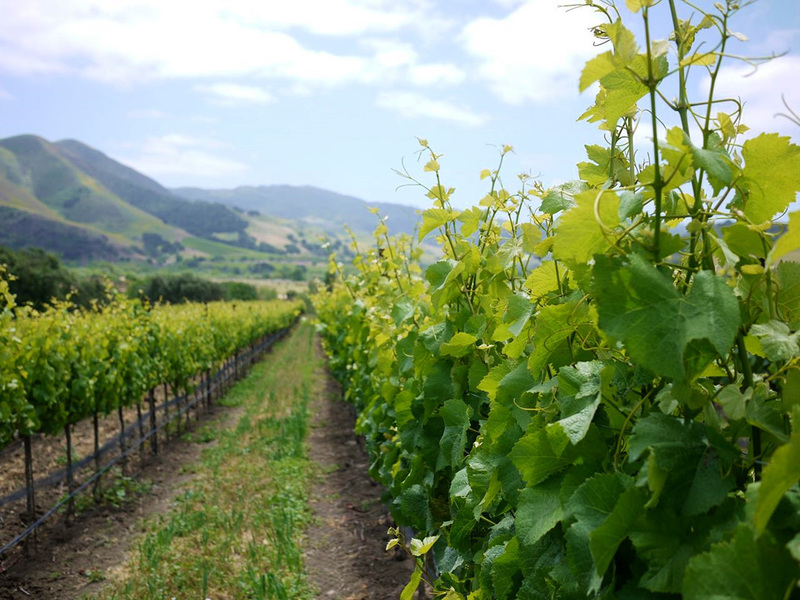 Just as the grapes are busy setting berries on their vines, we’ve been busy working on the ranch! The cabana is finally finished, with seating areas, a dock and a couple of kayaks. Huge rocks are being hauled around the ranch and placed in various places; they’re just beautiful! The outdoor tasting room is finished and the new Pence Ranch sign at the entrance is installed. And we have brand-new baby, fuzzy chicks, adding to our ever-growing chicken family. We hope you make an appointment to visit us soon.